5 of the Best Advertisements That Will Make Your Jaw Drop! The advertisement is one of the most intriguing, inspiring and compelling ways of communication. This is something which, if done correctly, can make or break the deal in the business world. Brand promotion through advertisement is the backbone of marketing, as it can help you to increase awareness and create an identity for your products and services. There are so many brands excelling at advertising, and there are others that are taking it to the next level. Here is a list of some spectacular, out of the box ads that will make your jaw drop. Before we take a look at these, let’s dig deeper to explore what makes an ad the best for customers as well as brands. What Makes the Ad Best of All Time? If you are little leery of proclaiming an ad the best, then wait a minute and think again. Consider the impact that the campaign has on the growth of the brand because some universal truths allow people to remember those campaigns years after they first began. The emergence of the Internet and tech revolution has made it difficult and hard for brands to compete effectively. Advertising with remarkable creativity plays a significant role in reducing those tensions and inspiring a way forward. 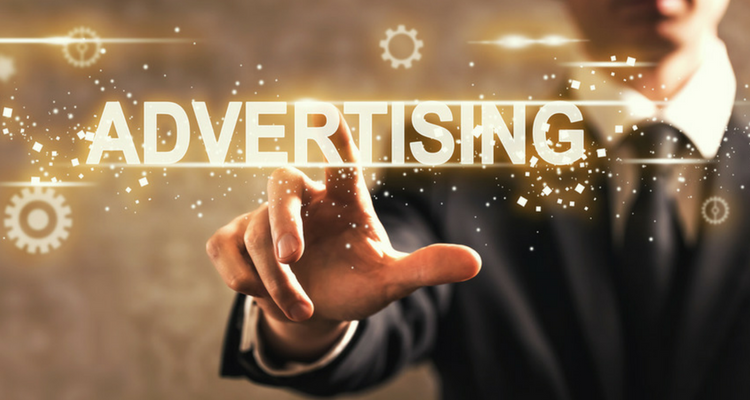 Advertising efforts are changing the dynamics of marketing and making the business world a better place to live and compete. ‘Get a Mac’, is a television ad campaign created by TBWA\Media Arts Lab for Apple Inc. This ad campaign followed a simple standard with an all white background and aired from 2006 to 2009. It’s a long running series where a guy who is dressed quite casually introduces himself as Mac and the other man who is in corporate attire, introduces himself as a traditional computer. This odd couple entertains viewers for years with their humourous interactions. The ‘Get a Mac’ series was declared as the best advertising campaign of the new century by Ad week in 2010. There are many great advertising campaigns by Apple but ‘Get A Mac’ was the icing on the cake. This debate on Mac vs. PC ended up as the most successful ad campaign in the marketing history of Apple, and the brand experienced a 42% increase in market share growth in the first year. This campaign, being definite, highlights everything people need to know about Mac. The key takeaway for marketers here is, you can explain your products benefits in a relatable way to help consumers imagine what their experience would be like if they bought your product. The ‘Think small’ ad campaign was ranked as the best advertising campaigns of the 20th century. It was created by Doyle Dane & Bernbach (DDB). This ad campaign perfectly illustrates the concept of emotional appeal to the customer as it answered the question how a brand could change people’s perceptions, not only about the product but also about an entire group of people. This ad uniquely focused on Beetle’s form which was smaller than most of the cars available in market at that time. DDB keeping simplicity in mind contradicted the traditional association of automobiles with luxury. Americans had the propensity to buy big American cars. This Volkswagen ad played right into the customer’s expectations. The most important lesson for marketers is don’t try to sell your product as something it is not. Honesty is the best policy and customers respond to it. The ‘Thank you, Mom’ camapaign by P&G promoted love over bias. A household and cleaning product company pulled at the heartstrings of the viewers. P&G understood and identified the story behind Olympic athletes, the story of supportive moms pushing these world class athletes throughout their entire lives and leading them towards crowning moments. The ad shows the prejudice that athletes have experienced and celebrates the role of a mother as an advocate, she is the one who can see the potential in her child, regardless of the judgments from others. The ‘Thank You, Mom’ ad campaign is all about capitalising on the emotional and nostalgia marketing opportunity, powerful tactics getting people to make buying choices. The company through this ad is tapping into a significant universal story behind the product and showcasing it. 4. Nike: Just Do It. In the world of fitness, there is nothing more recognisable than the slogan by Nike “Just Do it”. In 1980’s, Nike was in the midst of the most significant slump in its history and it was in dire need of turning things around. Nike’s products were catering needs of marathon runners exclusively. But after the emergence of fitness, marketing folks of the brand soon realised that the brand’s tendency to target elite athletes was alienating a significant portion of a potential customer base. Therefore, they started thinking about other segments of the customer market with an objective to surpass the leading competitor, Reebok. In late 1980’s, Nike created an ad campaign named as ‘Just Do It’, to hit the market. This short, sweet, yet encapsulated ad campaign drastically increased the sales and revenues of the brand. ‘Just Do It’ is a slogan which customers can relate to and a real drive to push beyond your limits. 5. California Milk Processor Board: Got Milk? ‘Got Milk?’ is one of the most famous and influential campaigns in advertising history encouraging the consumption of milk. It was created by an advertising agency, Goodby Silverstein & Partners for the California Milk Processor Board. Californians are passionate about food, and they know how quality ingredients and the pairing of unexpected flavours and texture can transform an ordinary meal to extraordinary. New food discovery has the power to surpass and delight the senses, and it can elevate the moods as well. Keeping that in mind, the California Milk Processor Board (CMPB), through the iconic ‘Got Milk?’ campaign launched Love Stories. This new statewide advertising campaign highlighted the versatility of milk and drew an emotional parallel between the discovery of fresh foods and joyful rush of falling in love. Emotions play a significant role in the way we enjoy our food. Whether it’s an itch to try something new, an unexpected flavour is surprising your palate, or you want to share your latest food pairing discovery with the people around you. Enjoying your food is like dating, love, and relationships. According to the ‘Got Milk?’ campaign, a glass of milk is a perfect companion for your next meal discovery because it can make everything taste good. The ‘Got Milk?’ campaign raised the milk sales in California by 7% in just one year. The ad was not targeting people who were not consuming milk. Instead, it focused on the people who already were consuming milk. Getting new audiences to use your product is not always necessary, sometimes you can target your current audience and make them appreciate and use your product more often. This can help you to turn your audience into advocates, and through marketing, you can tell them why they should continue to enjoy the products they already have. In this digital era, advertising and marketing are experiencing an incredible upheaval and interactivity is changing the dynamics of marketing. How consumers see and pay attention towards brand messages is entirely different from the way it was. What a consumer wants is no longer ambiguous for brands; we are living in a digital age where marketers have the opportunity to gain insight into their target audiences. The best advertisement of the decade is a carefully crafted narrative that can tell the story which the consumers want to hear before buying. There are only a small number of campaigns that stand out because the brands behind these campaigns approached advertising from a different perspective with unique creativity. Emilie Burstein is a professional content strategist these days working at Mint Cleaning Group. She loves to write about technology, marketing, and economics!